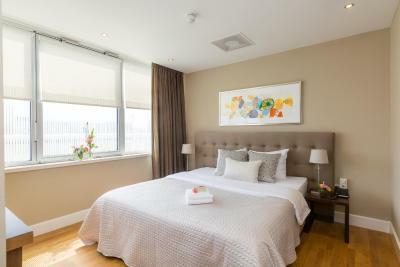 Lock in a great price for Boutique Hotel Lumiere – rated 8.8 by recent guests! Nice location in the middle of town. Easy check-in with very nice staff. The studio has its own entrance which works with the door key. Has everything I needed and all looks very nice and cozy. Good location, nice staff, building is ugly from the outside but fine inside. No sauna or anything. Too expensive. It was very central a 5 min walk to all the bars and clubs. The apartment was very well furnished the receptionist was very nice. We stayed in one of the top floor studios. So neat and so clean, and quite spacious. The view from the bedroom window in the early morning with colors of dawn and sight of the cathedral close by, was like a painted picture. Very conveniently located, right in the shopping district. Staff were super friendly and the room (studio) was spacious and clean. Very comfortable bed. I was staying in the studio on the top floor - fully equipped including a kitchen. Very helpful staff - they handled professionally the situation where some guests in another room directly next to mine made a lot of noise after 22:00. There was no problem with any noise on other nights. 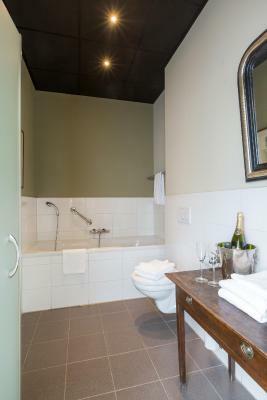 Huge room, huge bathroom, great bed, fresh fruit, breakfast location next door, coffe/tea facilities in room. Hotel is located in a safe area, lots of restaurants and bars nearby. Walking distance to most of the other local attractions. Breakfast is served in the next door restaurant. Will sure recommend this hotel. 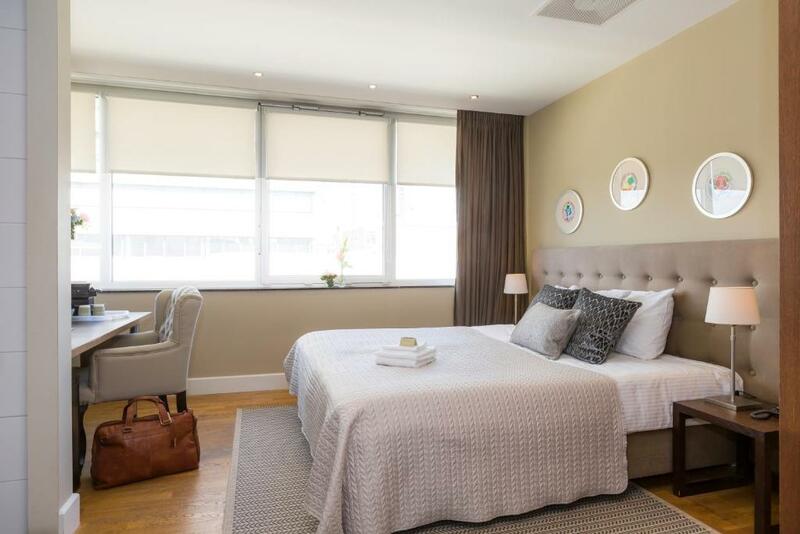 Boutique Hotel Lumiere This rating is a reflection of how the property compares to the industry standard when it comes to price, facilities and services available. It's based on a self-evaluation by the property. Use this rating to help choose your stay! 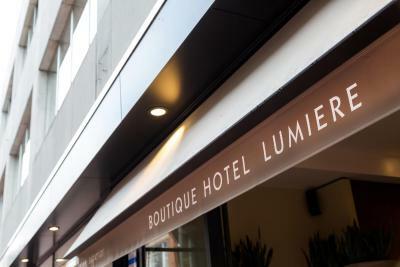 One of our top picks in Eindhoven.The Boutique Hotel Lumiere is a stylish city hotel in the heart of Eindhoven. Free Wi-Fi access is available anywhere in the hotel. Eindhoven Central Station and shopping center is within walking distance. 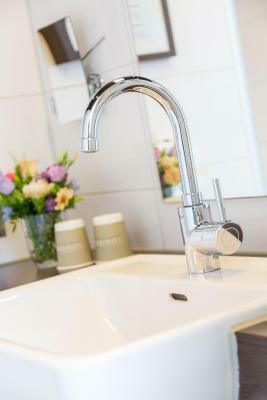 All rooms are equipped with flat screen TV, tea-and-coffee making facilities and a bottle of mineral water. All hotel rooms feature a DVD player. Guests can enjoy breakfast at the neighboring Brasserie Hooghuys. They offer a city breakfast with fresh breads, croissants, meats, cereals with natural yogurt and a boiled egg. A take-away breakfast is also available. Eindhoven is an interesting city with possibilities for shopping and culture. At walking distance from the hotel you will find a few museums that are worth a visit. 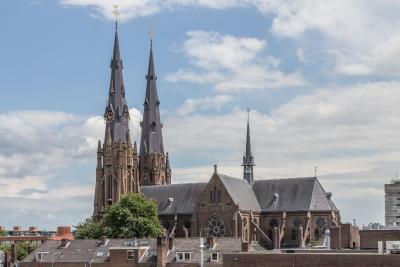 Eindhoven City Center is a great choice for travelers interested in nightlife, bars and clothes shopping. 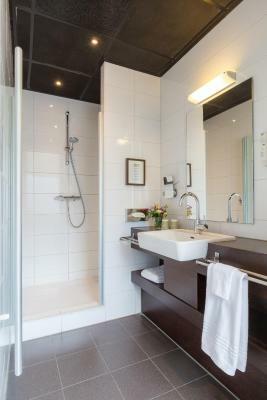 This is our guests' favorite part of Eindhoven, according to independent reviews. 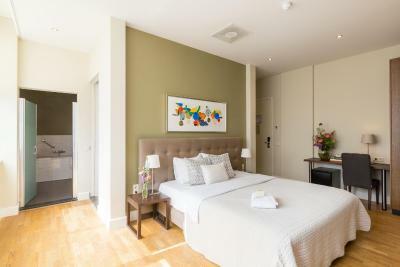 This property also has one of the top-rated locations in Eindhoven! Guests are happier about it compared to other properties in the area. 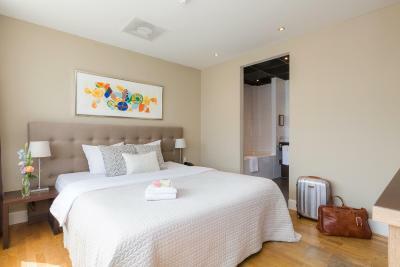 When would you like to stay at Boutique Hotel Lumiere? This room has 2 twin beds which can not be separated. 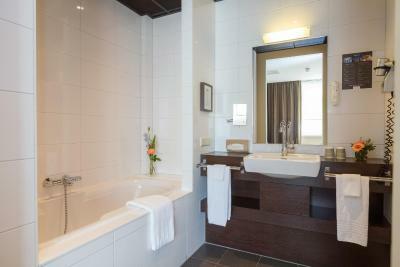 Enjoy a king bed and a large bathroom. 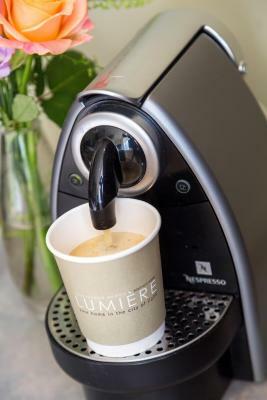 A Nespresso machine is available for a delicious cup of coffee anytime. 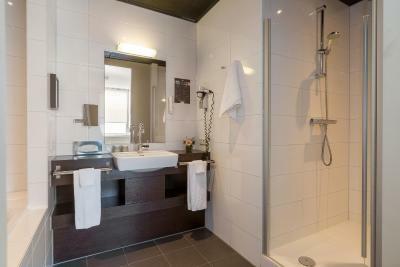 With a large bathroom with shower and bathtub, a king bed and a Nespresso machine. This studio features a seating area, microwave and private entrance. This apartment has a sofa, electric kettle and microwave. 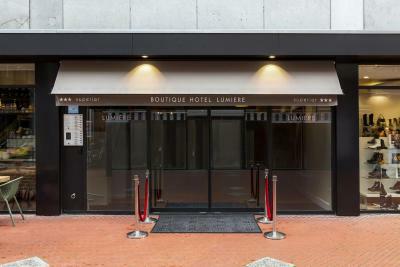 The Boutique Hotel Lumiere is a stylish city hotel in the heart of Eindhoven. 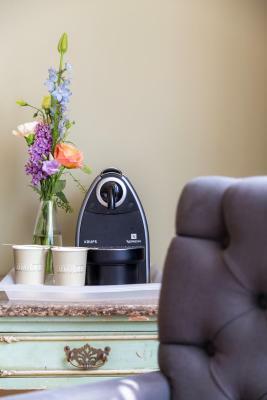 Enjoy the lovely breakfast from next-door and have free Wi-Fi access anywhere in the hotel. Eindhoven Central Station and shopping centre is within walking distance. 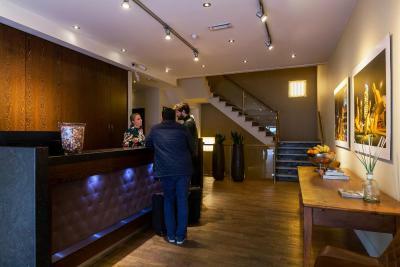 Hotel surroundings – This neighborhood is a great choice for travelers interested in nightlife, bars and clothes shopping – Check location Excellent location – show map Guests loved walking around the neighborhood! 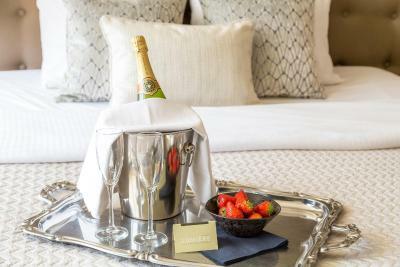 House Rules Boutique Hotel Lumiere takes special requests – add in the next step! ATM card Boutique Hotel Lumiere accepts these cards and reserves the right to temporarily hold an amount prior to arrival. 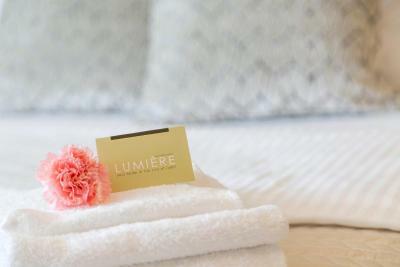 Boutique Hotel Lumiere accepts these cards and reserves the right to temporarily hold an amount prior to arrival. It is possible to check-in outside the regular hours at a surcharge. Guests are kindly requested to contact the property regarding their estimated time of arrival. Please note that check-out on Saturday and Sunday is between 08:00 and 10:30. Please note the check in time is till 22:30, in case of a late arrival, please inform the property beforehand or else it's impossible to enter the hotel. Breakfast is possible Monday to Friday from 07:00 to 10:00. On Saturday and Sunday from 08:00 till 10:30. Please note that public parking is possible next to the hotel. It is not possible to make a reservation for the parking. Guests will also receive a welcome drink. Please note that the Studios and the Penthouse are cleaned once per week. 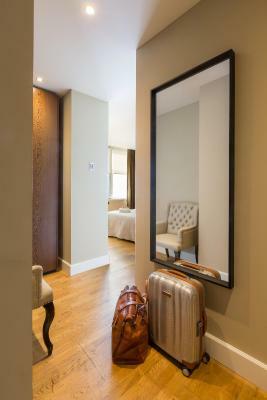 Please inform Boutique Hotel Lumiere of your expected arrival time in advance. You can use the Special Requests box when booking, or contact the property directly using the contact details in your confirmation. I didn’t like the toilet, it was too small and right beside the kitchen. 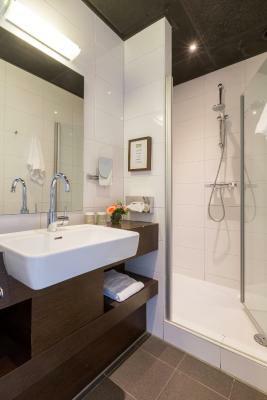 It would have been perfect if it was next to the shower room not to the kitchen though. 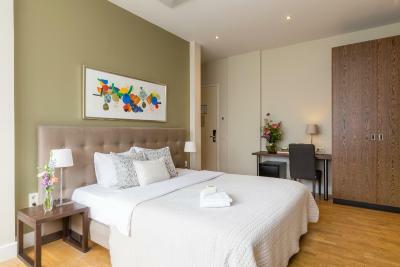 The room was big as we expected for an studio type, nice comfy bed, high ceiling and the colour of the room. The shopping area is very close to the hotel. There are And the transportation is so easy from that pleace. Delitious breakfast just behind the corner. Fresh fruits at the reception desk every day. Bottle of water for free. Excellent bed, shower and cleanliness. Helpful, interested staff. It was a little weird to find the bin full of trash from previous people. But it could fit my stuff so not really a problem. Guess it was just missed during the cleanup of the room. Nice simple quality hotel. Great for business trip. We were two people but they put just one coffee capsule and the room didn’t have any granule coffee. The pot was not clean properly.